I’m heading down to Sydney for a long-ish weekend in April, and as such am only bringing carry on luggage*. Finding the right carry on bag is always tricky for me and the last time I travelled I used a large bowler-style bag. However, this time I’m thinking of sticking to a backpack like the Kånken backpack from Fjällräven. 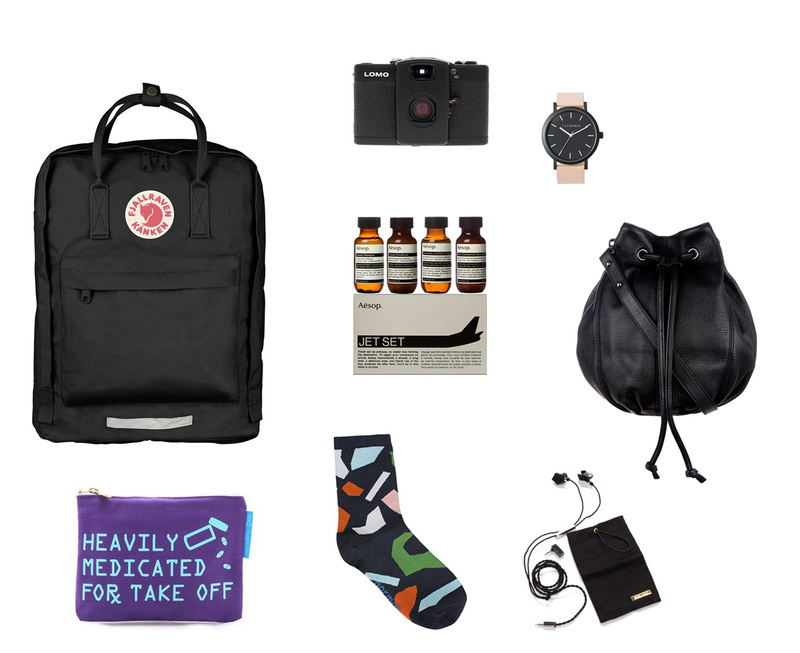 It’s roomy enough to fit a few changes of clothes and light toiletries without being cumbersome to carry. I’m heading down for an engagement party so will need at least one dressy outfit but for the rest of my stay I’ll largely be wearing casual tops/jeans/skirts. It’s a given that I’ll be wearing bulkier things like jackets and boots on the plane, leaving room in my carry on for lighter objects. I’m terrible at packing light and have enough trouble deciding how many cameras to bring (I’m thinking of leaving the DSLR at home but argh!) so this will definitely be an exercise in restraint. Apart from things like clothes, tickets, and personal effects, these are a few of my travelling essentials. – A sturdy carry on bag with zip closures. The more compartments the better. – Film camera. I always try and take one film camera with me, in addition to my iPhone 6 and/or a digital camera. – The Horse Watch. I always wear a wristwatch when travelling. Obviously so I can keep track of the time but also because it can be pretty annoying having to constantly fish your phone out to check the time. – Side bag. So I can keep the important stuff like my wallet, phone, tickets etc. on me at all times. – Travel-sized toiletries. One of my favourite parts of travelling is buying all of the miniature things. – Socks. Because bare feet on planes/trains/buses are gross. – Headphones. There’s nothing worse than having time to kill and realising you don’t have any headphones to plug into your phone/tablet/laptop. – Pouch. It’s always handy to have something to store loose items in. This one really speaks to me because it’s pretty much the only way I can get on a plane. I’m not super anxious about flying and I always enjoy the view but at the end of the day it’s just not my favourite thing to do. – Not pictured: patience. Sometimes everything goes to plan. Sometimes it doesn’t. Stressing out doesn’t help so you might as well just sit back and try to enjoy the ride. *That said, I made sure that my return flight includes checked baggage just in case I decide to buy all of the things. Every month there seems to be a bunch of stuff going on in Brisbane but I always happen to find out about them far too late. So this month I thought I’d take a proactive approach and search out what’s happening around town in advance. Read on for my pick of things to look forward to in Brisbane this March. The first Friday in March will see the inaugural ‘Park the Truck’ food truck meet roll into the picturesque Roma Street Parklands. Food truck vendors will include The Bun Mobile, Goat Pie Guy, Oi! Taco, King of the Wings, Vira Lata, Fire ‘n’ Dough, Fiery Deli, German Hut, Juicy Jungle, Chip Tease, Little Black, Flinders Coffee, and Yummy Fruit Ice-creamery. Shop up a storm at the Marie Claire Up Late event on James St. You’ll not only be given after-dark access to stores but you’ll also be able to meet the designers behind some beloved Australian brands. Designers in attendance will include Lisa Gorman, Gail Sorronda, and Ingrid Verner. There will also be plenty of special offers and discounts to keep you (and your wallet) occupied throughout the night. The French Film Festival is a firm fixture in my calendar. Taking in several destinations around Australia, it’s the largest festival of French films outside of France. The festival curates a selection of contemporary French films including dramas, comedies, documentaries, and more. Once Upon a Wine are a series of events organised by The Vino Geek. The night will include four Wright Roberston (New England) wines matched to a four course dinner. Good wine and good food – what more can you ask for, really? I have been looking forward to this exhibition ever since GoMA announced it last year. ‘Between Two Worlds’ will showcase an extensive range of Lynch’s paintings, photography, and works on paper. The Gallery will also be screening a complete retrospective of Lynch’s films, videos, and works for TV throughout the duration of the exhibition. Unfortunately I missed out on tickets to see the man himself “In Conversation” at QPAC but there’s no way I’m going to miss seeing this exhibition. Not your ordinary high tea, the High Tea Party at the Hilton will be a modern take on the classic tradition. The event will include beauty treatments, boutique shopping, workshops, fashion parades, and complimentary pamper sessions. Guests will also be treated to a gift bag to take home. Brisbane has a pretty good live music scene and there are a tonne of artists making their way to the river city this March. From local bands to big international names, there’s something for everyone this month. Some of the touring artists include Mogwai, London Grammar, First Aid Kit, Client Liaison, Ed Sheeran, Rufus Wainwright, DJ Shadow, Drake, Kele, DZ Deathrays, and Yelle. If you’re after last minute tickets you better hop to it because many shows sell out months in advance. 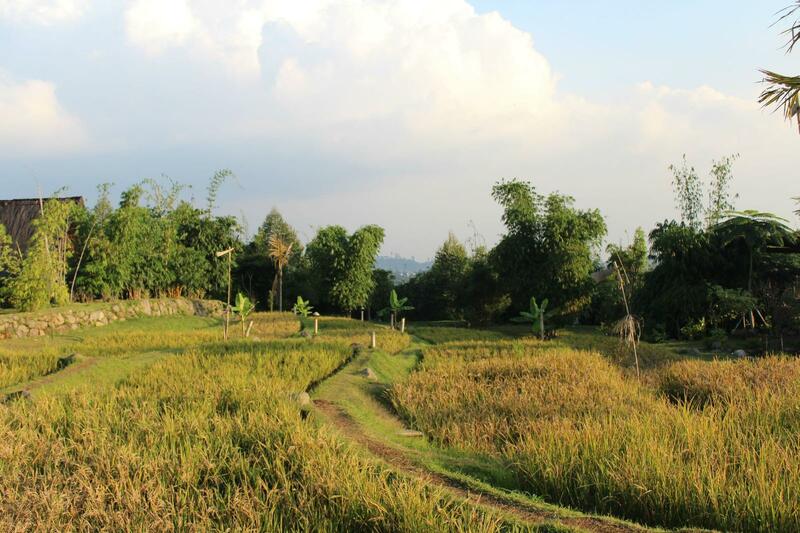 In my first week in Indonesia, I ended up covering a lot of ground and spending a fair bit of time exploring the mountainous regions surrounding Bandung. 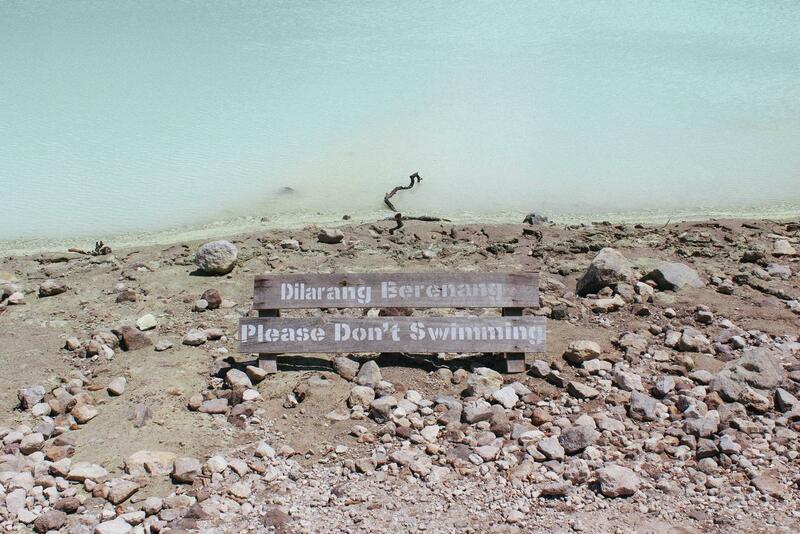 In my last travel post I outlined a sunny morning spent at Kawah Putih. Afterwards, we explored a bit more of the region and headed to Lake Patenggang (the hot springs would just have to wait). 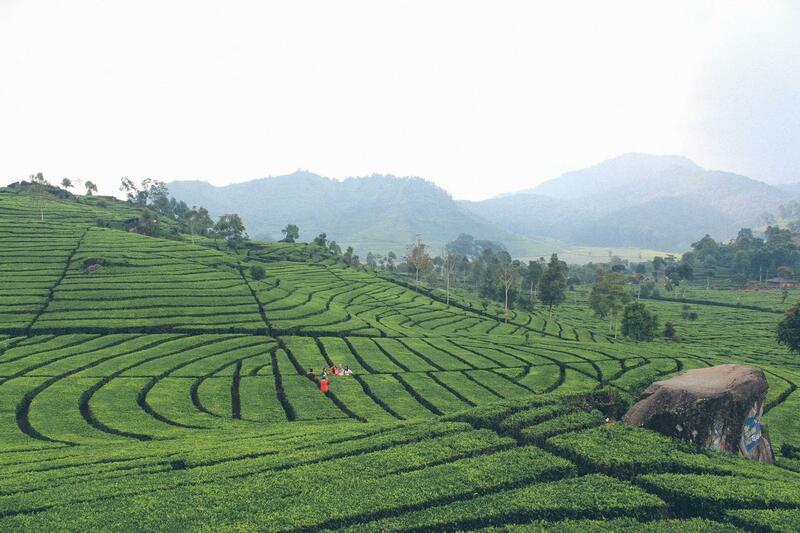 The drive to Lake Patenggang is a picturesque one as the area is surrounded by lush tea plantations. On the way we pulled over on the side of the road and got snap happy. 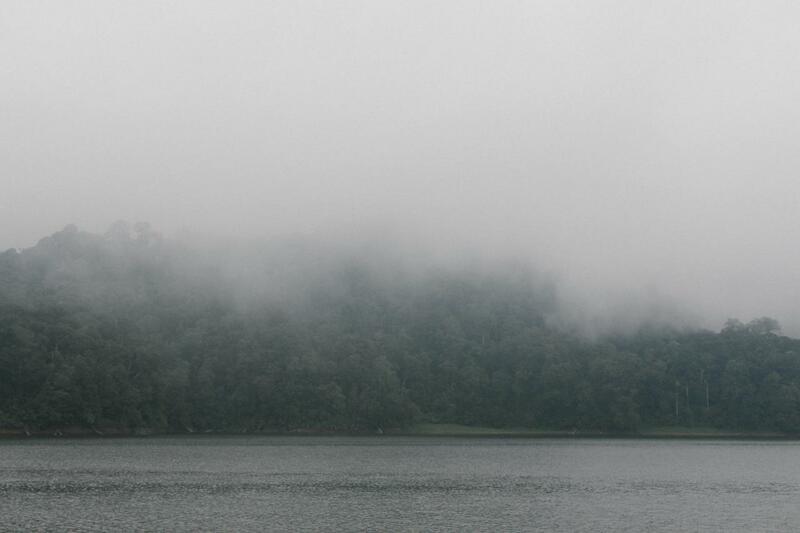 By this time in the afternoon the climate had cooled dramatically and an eerie fog was descending over the mountain. It only got heavier as we arrived at the lake. At the lake there’s a small market and you can head out on one of the many boats. We opted not to and instead explored the shores of the lake. Which were covered in rubbish. I had forgotten just how prevalent rubbish is in Asia, even at scenic tourist destinations like this. 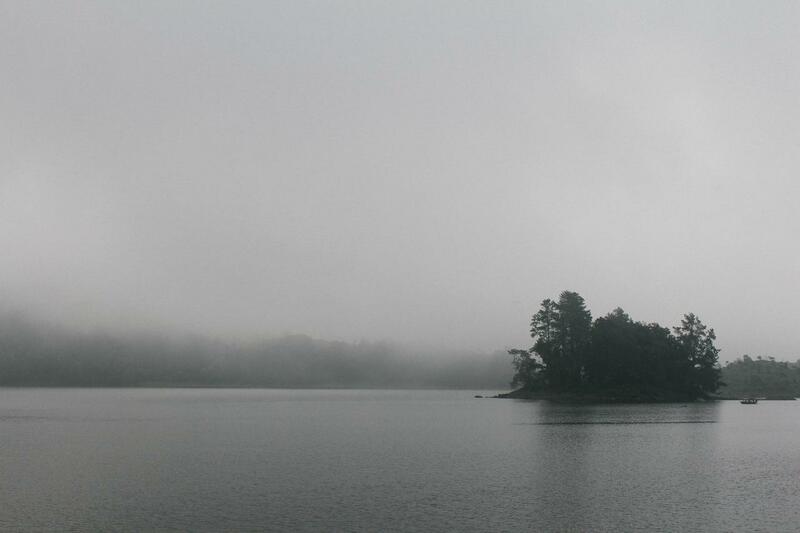 Aside from that, there was something calming about the being by the water and watching the fog roll in and I can only imagine what a hive of activity the place must be on a bright, sunny day. 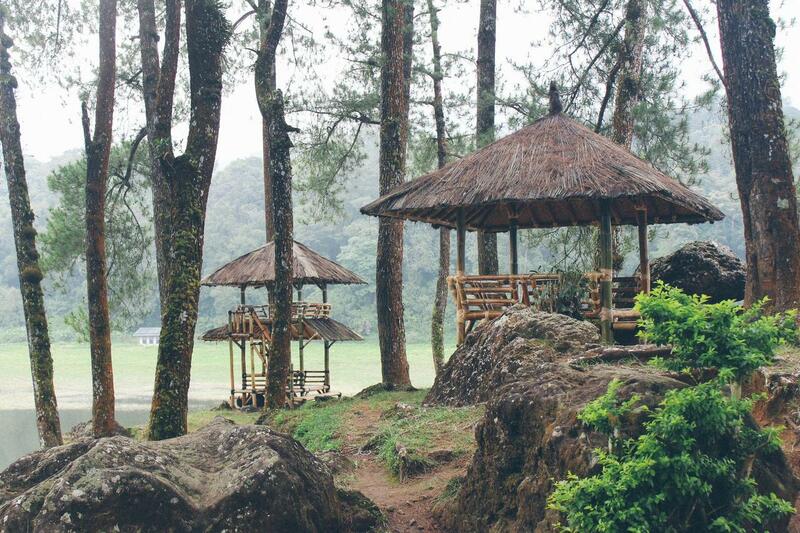 Where: Ciwidey, around a two hour drive south of Bandung, Indonesia. Entry cost: I can’t remember the exact cost but it was basically loose change. However, the international tourists in my group did get charged a higher entry fee (even me, and here I was thinking I could fool them all). – Time your trip wisely. We ended up travelling back to Bandung during peak hour and ended up in a hellish 3+ hour traffic jam. – The roads around the mountain are winding, narrow, and quite hectic. There was quite a bit of swearing coming from us girls in the back seats. Make sure you have an experienced driver, or at least someone who is familiar with the area and Indonesian traffic. 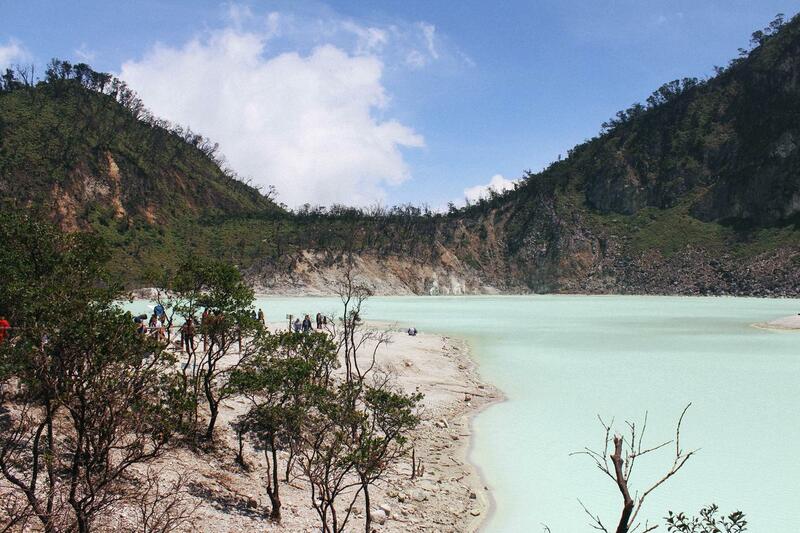 Kawah Putih is a crater lake situated on Mount Patuha, south of Bandung, Indonesia. 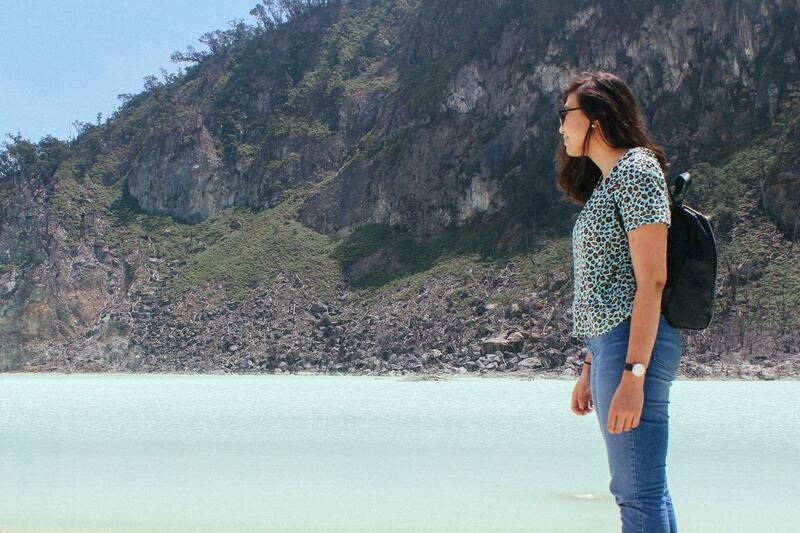 The last time I visited Kawah Putih I was about seven years old and I had vivid memories of this huge, almost unreal landscape. So I was pretty keen to revisit it. Like most childhood memories, the lake seemed much smaller upon revisiting and it was also much more populated with tourists. Where we once had the entire lake to ourselves there were now bus loads of crowds and even a film crew. That’s not to say it’s not worth a visit though. 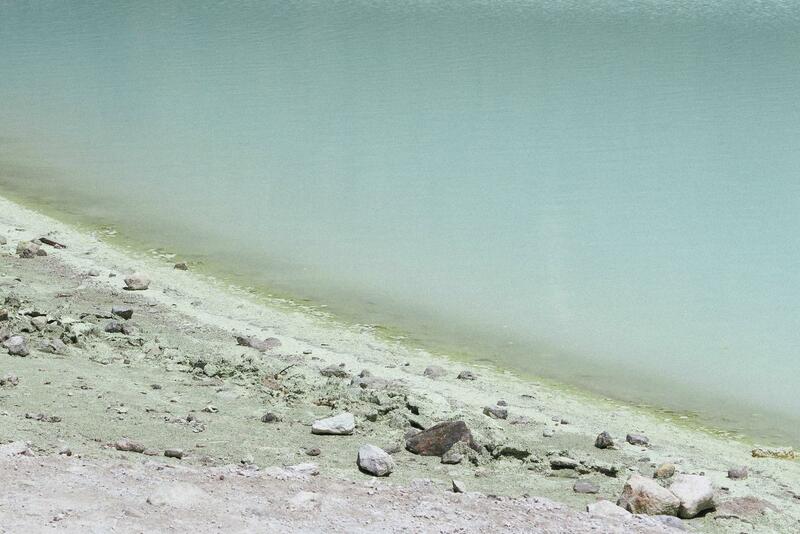 The defining character of the lake is its striking greenish-blue colour. 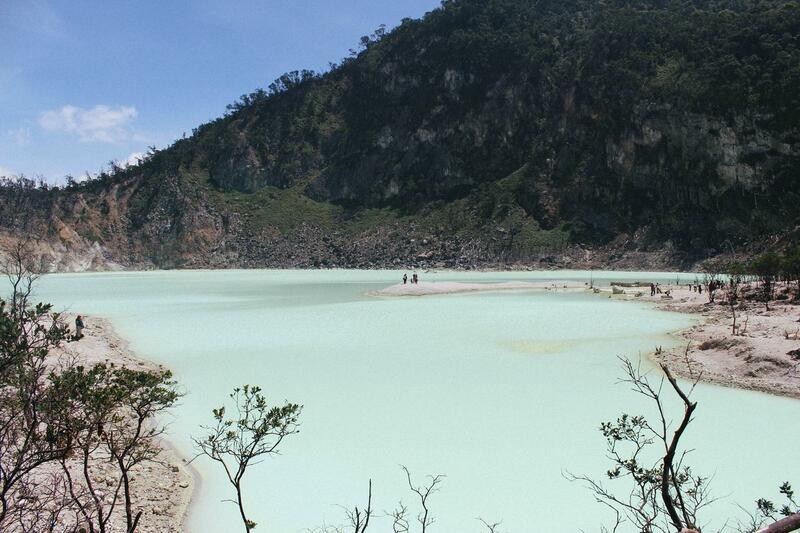 The name of the lake translates to “white crater” and the colour of the water varies depending on the sulphur concentration and temperature. 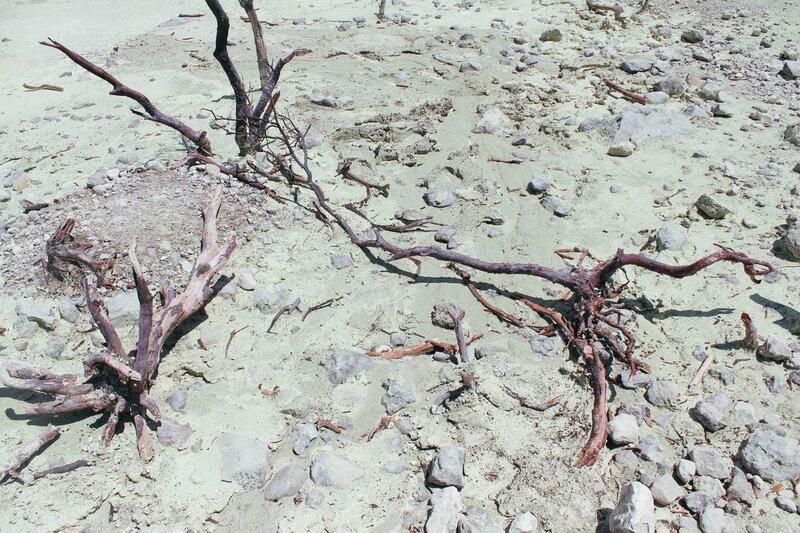 Because of the acidic nature of the lake the surrounding rocks and sand are bleached white, at times creating an almost moonscape-ish appearance. As you probably already would have guessed, the sulphuric nature of the lake means any contact with the water is a huge no-no. 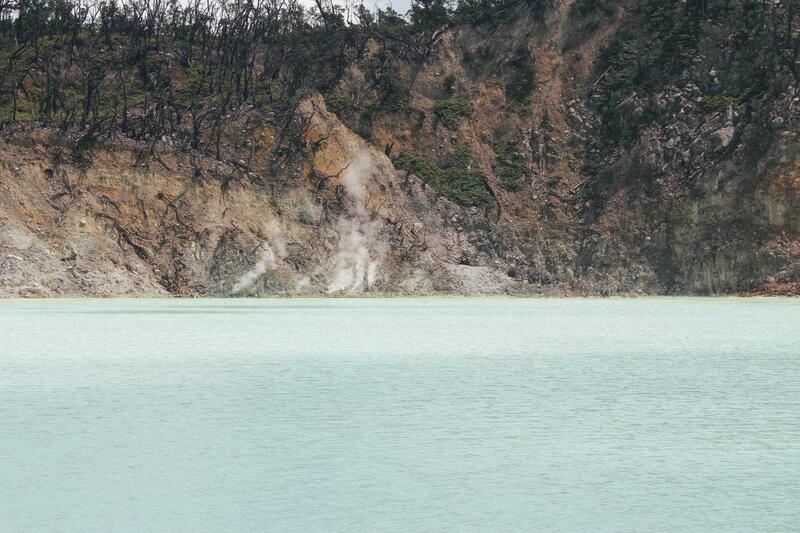 If you ever find yourself in Bandung/West Java then a trip to Kawah Putih is definitely worth a look in. My Gorman leopard tee matches the lake. How’s that for coordination? Entry cost: IDR 15k per person (around AUD $1) although tourists sometimes get charged a slightly higher fee (I went with three Dutch girls and we were charged the same as our Indo friends so sometimes it’s just luck of the draw) + IDR 150k if you want to drive your own vehicle up to the crater. 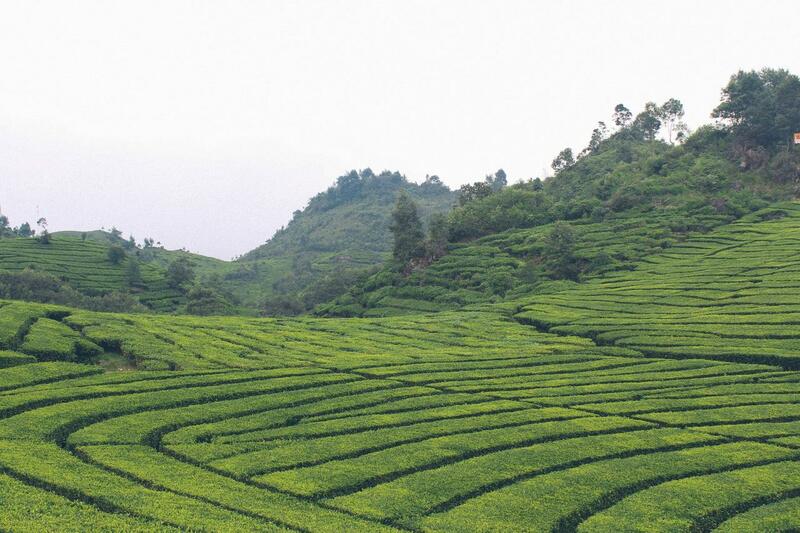 – If you’re departing from Bandung, depending on traffic, the drive can be a looooong one. Leave early, pack snacks, take a break if need be (there are plenty of scenic places to stop off and explore along the way). 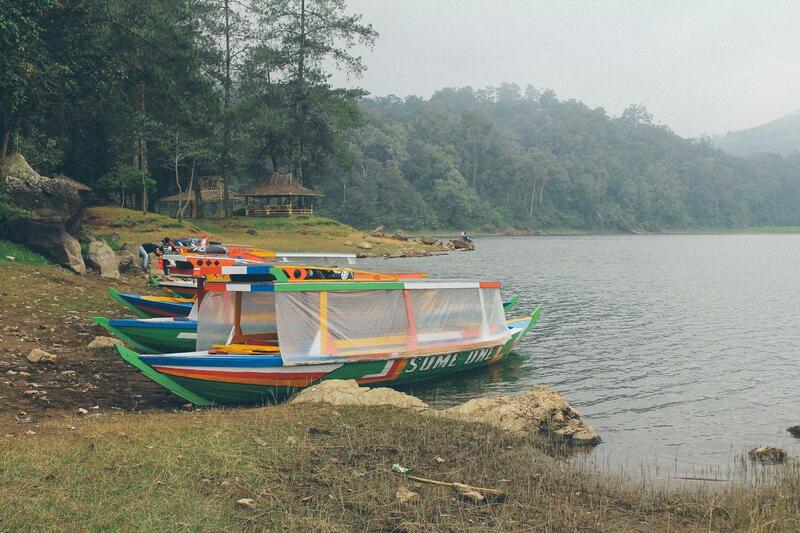 – Because of the sulphuric nature of the lake, the smell can be quite strong. Bring a mask or something to cover your face with in case the smell becomes too much. – If you drive your vehicle up to the crater, make sure you hold onto your ticket/receipt as it will be checked upon exit. – Alternatively you can leave your vehicle at the entry and take one of the allocated buses up to the crater at a cost of IDR 5k per person. However, the buses look quite rickety and the 5km drive up the mountain is quite winding so, personally, I would avoid this option. 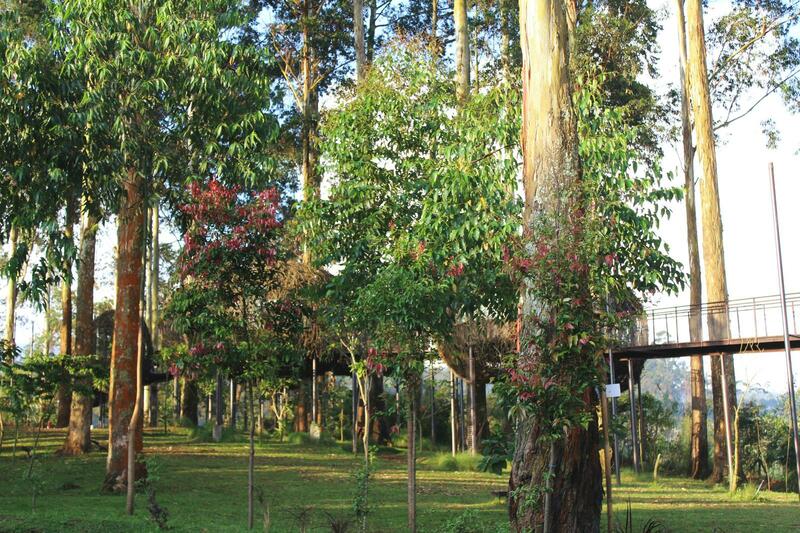 – Being over 2000 metres above sea level, it can be quite cool at the top so pack a lightweight jacket just in case. That said, I went during the middle of the day and got slightly sunburnt. So you might want to pack some sunscreen too. – Make a day of it and visit other popular tourist destinations in the area while you’re at it (which I’ll cover in upcoming travel posts). Since I went to Indonesia to visit family, I hadn’t planned on doing many touristy things while I was there. I was in that position of not being a tourist but not quite being a local either. While I did end up doing a few touristy things, most of the time I was just hanging out with family, going to cafes, and going shopping. So pretty much what I do back home in Australia. 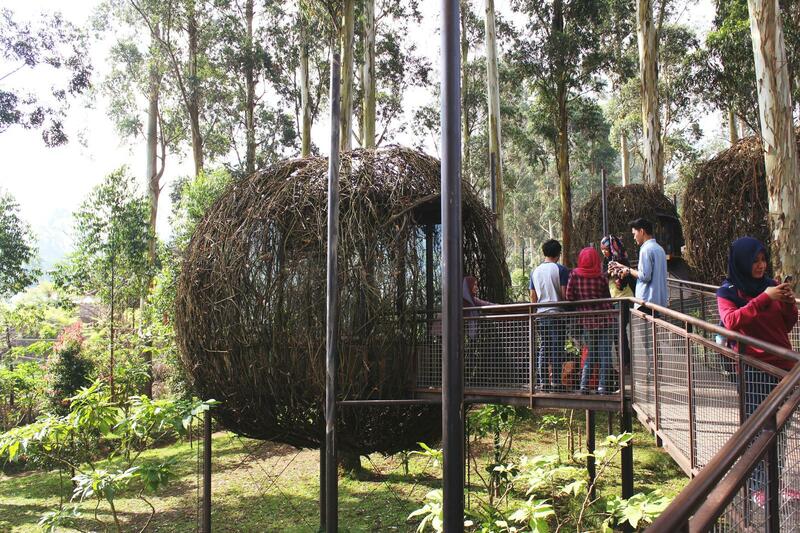 One of the first places I trekked out to was Dusun Bambu, which is a leisure park located in north Bandung. 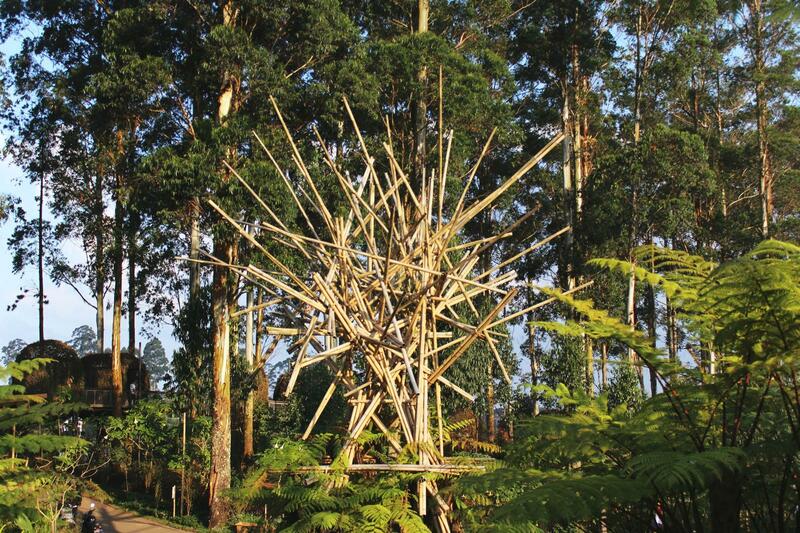 As the name suggests, there are a lot of bamboo-related things around. 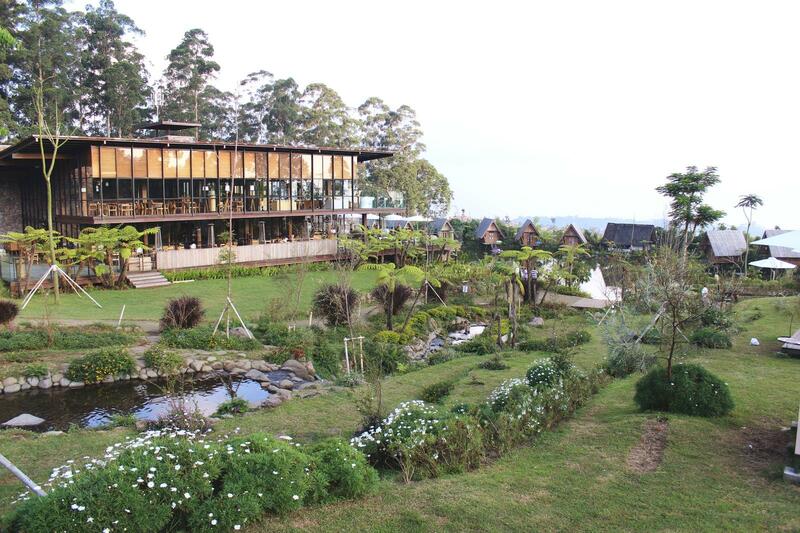 There’s also a restaurant, gardens, villas, and a marketplace of sorts. I went on a weekday afternoon when it was relatively quiet, but I heard it can get pretty busy on weekends. I had drinks on the deck at the Burangrang Cafe and explored the grounds before heading back into the city (in peak hour – not fun). 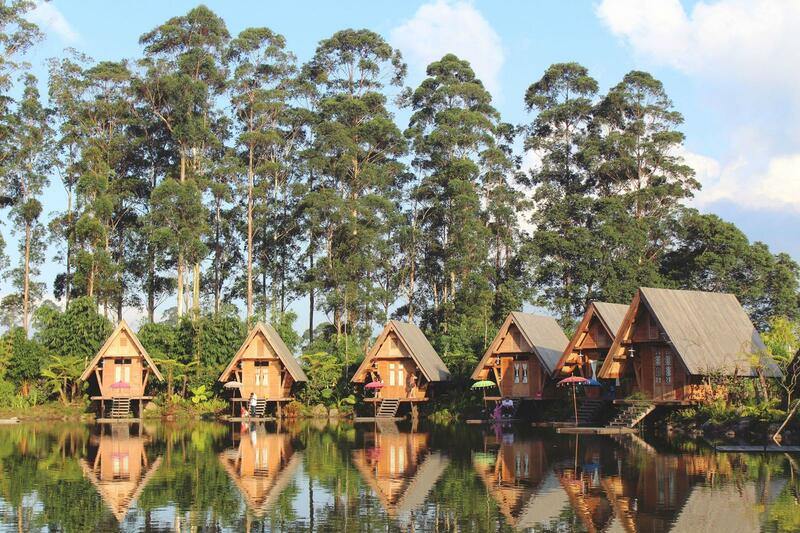 After a few days of adjusting to the smog and pollution, the trip up to Dusun Bambu was a welcome respite from the nitty gritty of city living.